Infosys, a global leader in consulting, technology and next-generation services, today announced that it plans to hire 10,000 American workers over the next two years. As part of this initiative, Infosys will open four new Technology and Innovation Hubs across the country focusing on cutting-edge technology areas, including artificial intelligence, machine learning, user experience, emerging digital technologies, cloud, and big data. 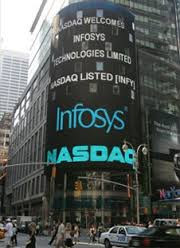 “Infosys is committed to hiring 10,000 American technology workers over the next two years to help invent and deliver the digital futures for our clients in the United States,” said Vishal Sikka, Chief Executive Officer, Infosys.